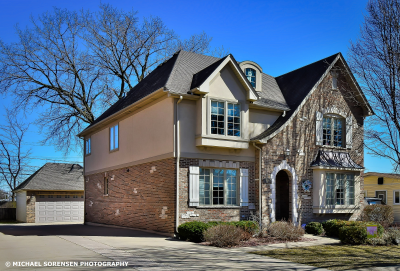 Showings: (773) 987-8224 English or Polish. Special offer: $3,000 buyer commission rebate when you buy this home with Michael Sorensen as your agent. Welcome to 5073 N Olympia Ave. CHICAGO-ORIOLE PARK. BRICK CALIFORNIA RANCH ON 67X114 LOT WITH SIDE DRIVE. 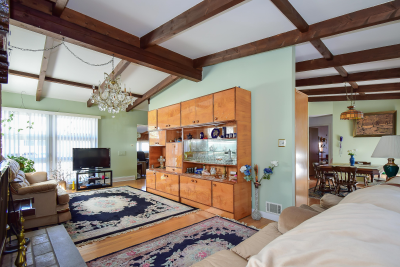 VAULTED/CATHEDRAL CEILINGS & HARDWOOD FLOORS THROUGHOUT MAIN LEVEL. 1,390 SQ.FT. + 450 SQ.FT. FINISHED BASEMENT. FAMILY ROOM. WOOD BURNING FIREPLACE IN LIVING ROOM. REC. ROOM IN FINISHED BASEMENT. NEWER WINDOWS AND RUBBER ROOF (ABOUT 10 YEARS OLD). 2 HEATING & COOLING SYSTEMS. PLENTY OF ADDITIONAL STORAGE IN LARGE CRAWL SPACE. 2.5 CAR GARAGE AND STORAGE SHED. QUIET RESIDENTIAL STREET. CLOSE TO EVERYTHING. CITY WORKERS DREAM LOCATION. BRING OFFERS.